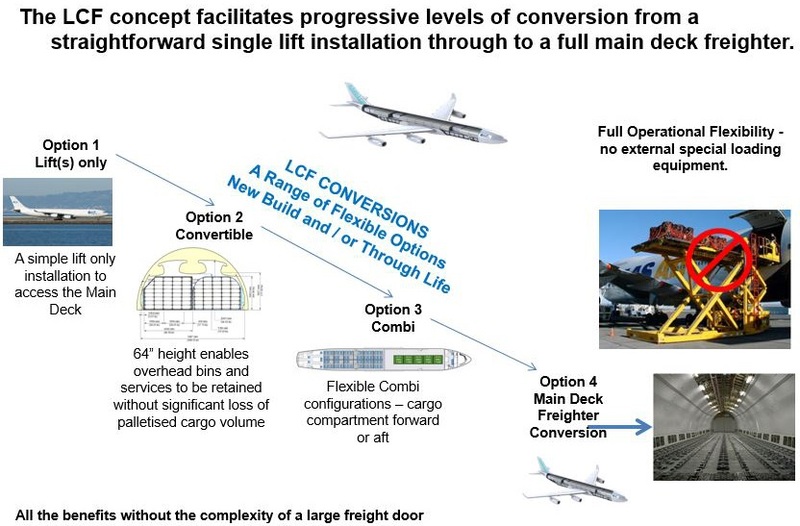 The LCF concept readily adapts the entire A340 family aircraft to offer freighter capability. 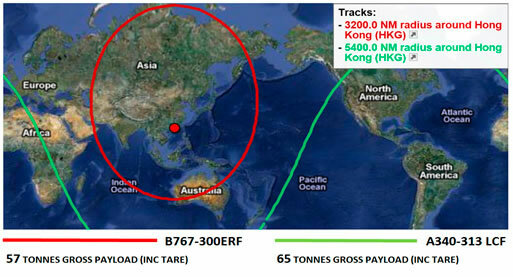 The A340–300 LCF offers highly competitive payload, volume and range at a significantly lower investment cost. Loading and unloading times are comparable to main deck freighters. To see computer simulations showing the LCF lift operation and the loading sequences on the A340 conversion click here. Footage of the A340-300 loading sequence.